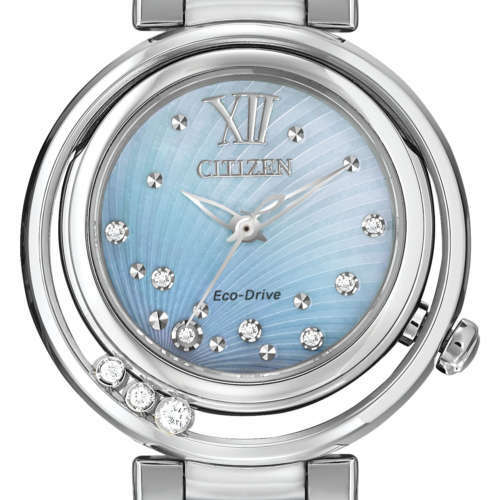 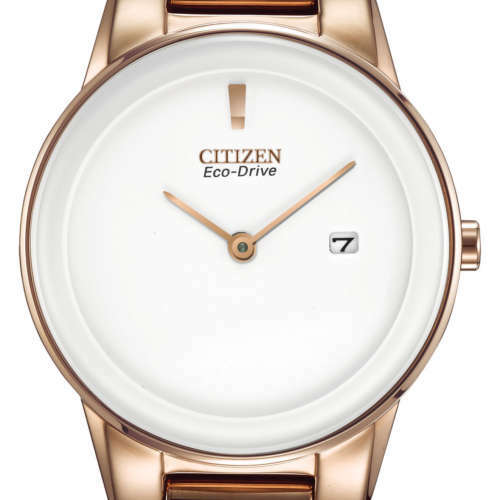 Ladies Eco-Drive diamond & stainless steel watch. 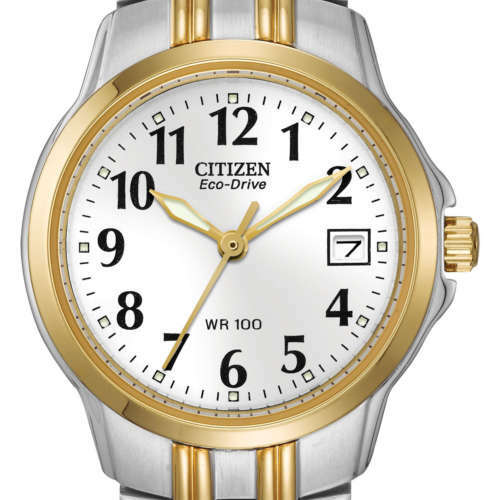 Set with a total 28 diamonds on the face and around the bezel. 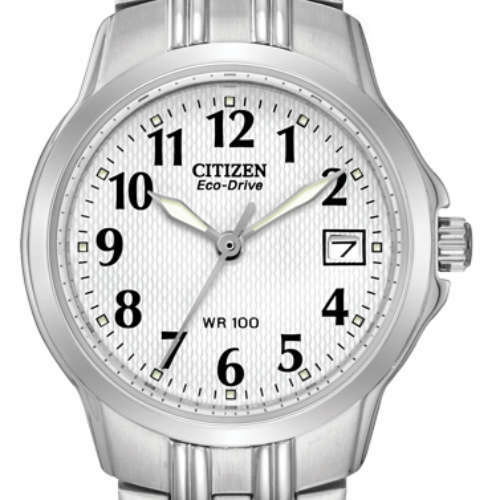 Splash resistant, sapphire crystal 29mm.